FIELD CAMERA. 1892. This firm is not connected with A. Adams & Co. The label carries the telegraphic address, 'R.T. Adams & Co., Makers, Byview, London.' 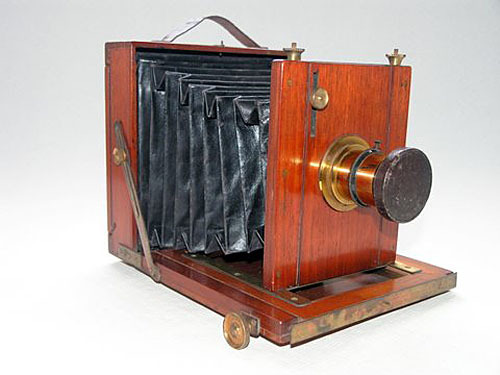 Channing and Dunn found no evidence of R.T. Adams advertising before 1892, but the design of this camera, very similar to the John Piggotts in my collection, would suggest to me a much earlier date of between 1875 and 1885. It would certainly have been old-fashioned by 1892. 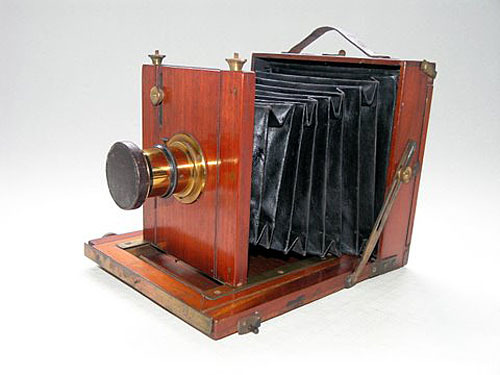 The body is dovetailed construction, the workmanship is good, but the camera itself is not of the highest quality. 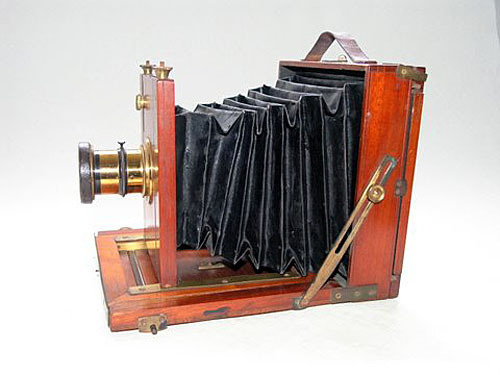 I believe it is a very rare camera.